Many people don’t know where Malta is, which is a pity as this Mediterranean Island offers a huge potential in many fields. Malta lies 50 miles south of Sicily and 207 miles north of Libya. Due to this strategic position in the centre of the Mediterranean, many colonies tried to locate their naval base in Malta. In the map below you can see where Malta is located. Where is Malta is NOT JUST any other website, what you can find here is not on Wikipedia or any other international travel blog. In this blog I try my best to give information about places that are not well known with tourists but very famous with the locals. You can read anywhere that Paceville is the heart of the Maltese nightlife, but no other website mentions that after Paceville you can go the ‘Serkin’, a Maltese traditional bar in Rabat selling ‘pasitizzi’ even in the early morning hours. These local tips will be listed under every article, and they will be the cherry on your cake when you visit Malta. The Maltese archipelago is really an Aladdin’s cave of fabulous locations and stunning backdrops! Find out what you should know! If there is a traditional event in Malta that you should experience, is the Village 'Festa'. The Festa is a traditional celebration of the local Patron Saint. Gozo and Comino are the sister islands of Malta. Gozo is the second largest island and it is famous for its relaxation feel. Read more why you should visit Gozo. Valletta is the Capital City of Malta. This city was built during the 16th Century by the Knights of St John. 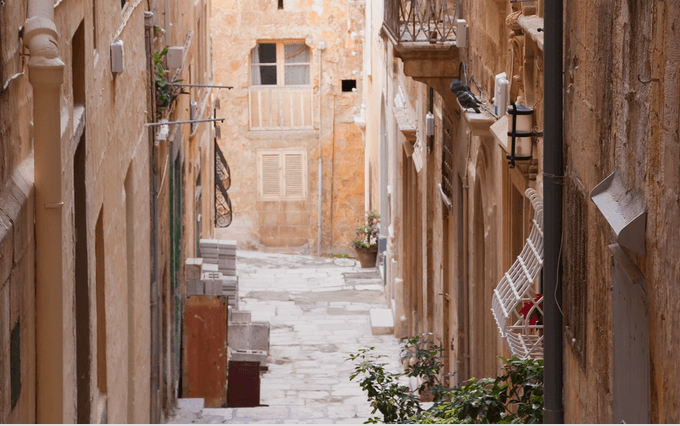 Read the most useful tips about Valletta here! BE INFORMED, FOLLOW THIS SECTION! Before visiting the Islands, read what's happening in Malta and Gozo in the Tourism sector. Follow our blog for latest tips, articles and also reviews! Feel free to contact us if you have an article idea. After deciding that you want to visit Malta, the next question pops up, but what to do in Malta? There are so many things to do in Malta, learn why here! After deciding that Malta is the next holiday destination, the natural question that comes up is where to stay in Malta? There are various options for accommodation. Here you can find geographical information about Malta, what to do in Malta, where to stay in Malta and also the latest news about tourism in Malta. Malta has rapidly become the number one choice for a holiday destination, and it’s not hard to see why. Pottery and other archaeological excavations found in Malta resembles those found in Italy. The excavations also suggests that the first civilians in Malta date back to 5200 BC. These men were probably stone age hunters and farmers who arrived from Sicily. 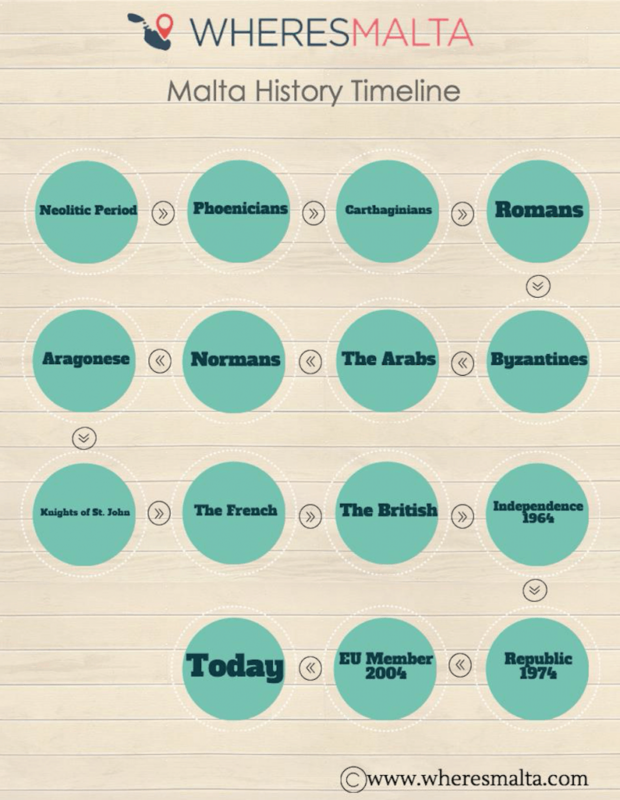 Malta had many rulers, the Greeks, Phoenicians and the Romans were the ones that ruled Malta in early ages. The Phoenicians used the Maltese Islands as a stop on their routes from the Mediterranean to other countries. after the Phoenicians, in approximately 332 BC, the Maltese islands fell under the hands of the Carthage; a former part of the Phoenician colony. By 117 AD, Malta and its sister Islands became part of the Roman Empire under Hadrian. In the 4th century the Roman split into Eastern and Western, it was then that Malta fell under the Greek speaking Byzantine Empire from 395 to 970. Malta was uninhabited after the Muslim invaders destroyed some the most important buildings in Malta and Gozo. Malta was uninhabited after the Muslim invaders destroyed some the most important buildings in Malta and Gozo. It was then recolonised by the Muslims from Sicily between 1048-1049 AD. The Muslims introduced vital new trades for Malta, such fruits and cotton. The Siculo-Arabic language was also adopted in this time frame. In 1530 the Maltese islands were given to the Knights. This was an event that shaped the Maltese Islands; the Knights traditions and buildings are still present to date. Led by La Valette, the Grand Master of the Knights of Order of St.John, withstood the great siege by the Ottomans in 1565. The knights and the Maltese won against the Ottoman empire. The result of this siege is the capital city of Malta, Valletta, together with other fortifications that were built to protect Malta in the event of another attack. in 1814 Malta became part of the British Empire. The British shaped the administrative aspect of the Maltese islands. Because Malta was under the British for a long time, all Maltese people speak fluent English, in fact English is on of the official languages in Malta, together with Maltese. Malta gained its independence from the British empire in 1964. From 1964 to date, the Maltese managed to develop the islands as a major player in the Tourism sector, Information Technology, iGaming, financial markets and other niche markets. Malta offers a wide range of activities. Because the climate permits so, one can enjoy outside activities almost all year round. The largest sports centre in Malta is located in Marsa, just 4km away from Valletta. The Marsa sports centre features an 18-hole golf course, tennis courts, cricket grounds, swimming pool and also squash courts. All these activities can be accessed either via a membership or else by a small fee for those that are not members. This sports centre is certainly a main attraction for those that love sport holidays. Many hotels also offer sport activities such as tennis and squash courts, gym and also scuba diving facilities. Watersports activities are available almost on all beaches around Malta, especially in Mellieha Bay and Golden Bay where one can choose from a wide variety of watersports activities. If you are looking for boats for sale in Malta, we also provide you with some valuable information. Malta is full of historic sights, temples, palaces, cathedrals and forts which all provide a living history. One of the main attractions is the city of Valletta which hosts regular plays, museums, concerts and different types of events. One of the leading attractions is the Museum of Archaeology which offers an unforgettable experience through a rich collection of prehistoric artefacts. The Museum of Roman Antiques can be found in Rabat together with the Cathedral and its museum in the medieval city of Mdina. Other popular attractions include the National Museum of Fine Arts, the Hal Saflieni Hypogeum, St. John’s co-Cathedral and Palazzo Falzon in Mdina. With 7,000 years of rich history, the sites and attractions that one can experience are endless. Read more about top attractions in Malta here. Malta offers various opportunities. One of the main opportunities that attract thousands of students each year is English Language Teaching. Malta developed as a language learning hub not only because it hosts some of the best language schools available but also because Malta offer excellent weather, stunning scenery and an amazing nightlife which all students can enjoy outside school hours. All language schools organise extra–curricular activities to help students get to know the country and its people more. Another niche that Malta is popular for is MICE. MICE stands for Meetings, Incentives, Conferences and Exhibitions. Malta offers the opportunity to businesses such as SME’s and also to countries to organise their events in Malta. Malta is ideal for such activities as it offers the ideal facilities for all kinds of events, such as hotels, catering, marketing and all other facilities that will make one’s event a perfect one. Lately the Maltese Government opened a scheme where one can buy a Maltese Passport and benefit from having a European Citizenship. This scheme is called the Malta Individual Investor Programme’. This opportunity generated a lot of interest and is currently open. If one look for the right activities, attractions and opportunities, coming to Malta has the advantage of experiencing more than one holiday at once. Many visitors also decide to move to the Maltese Islands after visiting it, hence why they try to look for jobs in Malta. There are various jobs in Malta for foreigners, especially within the iGaming industry. In 2004 Malta joined the European Union and in 2008 it joined the Euro-zone. Besides other benefits, this one of the reason why many iGaming companies moved their headquarters to Malta. Attracting other companies wasn’t the only advantage that Malta gained by joining the EU, it also proved to be a very successful step as it helped its economy and tourism, making it in a better position to compete with much larger countries. Depends where you are coming from, but the short answer is no, Malta can be relatively cheap. Some prices – a bottle of Coca Cola will cost between €1.20c to €2, depending the area you are buying it from, a drink from a bar will cost around €2.50c, public transport journey that last for a maximum for 2 hours costs €0.75c, however Malta just launched ‘Tal-Linja’ Cards where you can buy and top-up theses cards. Learn more about these cards here – www.tallinja.com. In other words, it is up to you now to judge if it is expensive or not. How long should I stay in Malta? Being a small Island, one might think that staying for a maximum of 5 to 7 days is enough in Malta. However Malta is full of history, culture, beaches and another 100 things that can keep you busy. Also, if you get fed up of Malta you can always visit Gozo and Comino, the sister Islands of Malta. And after all, how can you ever get enough of Malta? So the length of your holiday in Malta, according to us, depends just on your budget (and on your boss giving you time off). Do you have any questions about Malta? Feel free to contact us, we will be happy to help you out! When is it the best time to visit Malta? The answer here is: whenever you can! As Malta is wonderful all year round. Obviously being an Island, Malta is very popular during the hot summer months, between May – September. However if you prefer more quite months (you can rest assured that weather in Malta is still nice in shoulder months) you can visit during autumn or spring. If you are planning to visit during the Christmas holiday season, visit our Christmas in Malta page to learn more how Christmas is celebrated in the Maltese Islands. If you are visiting in winter and you need to prepare for your summer body, read our gyms in Malta page to find the gym that suits your needs the best. If you want to learn more about the Maltese Islands you can read the below guides, we created a detailed guide for each Island!